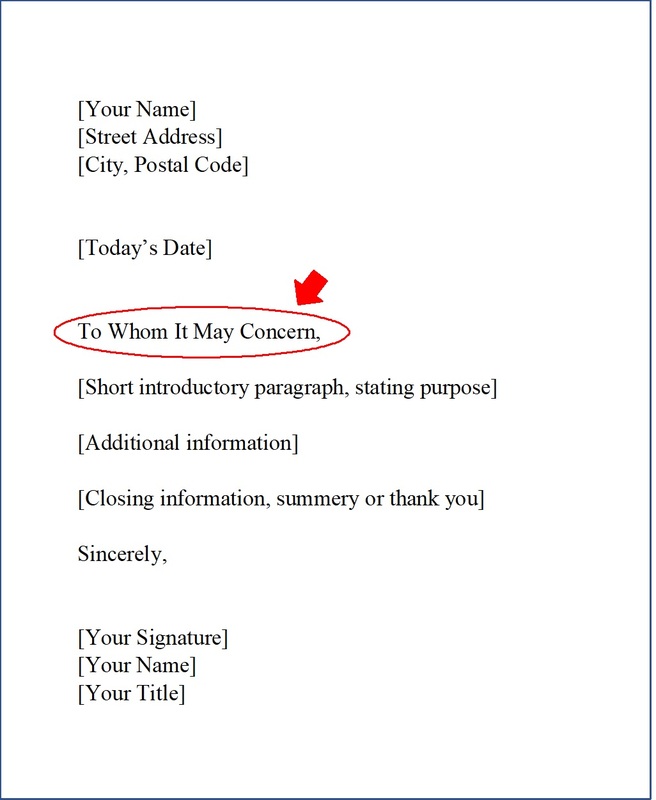 You can use To Whom It May Concern at the beginning of a letter, notice or document, when the identity of the reader is unknown. Business letters commonly use the phrase as a salutation. You can used it where the letter is for someone without regard to whom receives it. In other words, the recipient may be a person or an institution. Why should you use the term To Whom It May Concern? Whenever possible, try to address letters and emails to a specific person. However, when you don’t know the name of the person to whom the communication is for, then use you can use To whom it may concern. In conclusion, the phrase is a salutation at the beginning of correspondence when the name of the recipient is not available or it is unknown to the sender. When should you use the term To Whom It May Concern? You should use To whom it may concern when you are unsure who exactly will be reading the correspondence. For example, you might use it at different times during your career when sending a cover letter, a letter of recommendation, a letter of interest, a letter of introduction, or a prospecting letter, if you don’t have a contact person to address the letter to. What formatting should be used when using the term To Whom It May Concern? Refer to the letter shown below for an example on how to do the formatting when using this phrase. You should capitalize the first letter of every word. Use a colon or a comma at the end of the term, and preceding the body of the letter. For instance, the letter below shows the formatting that should be used when using the term. Another option is to completely drop the salutation and start the first paragraph of the letter straightaway.